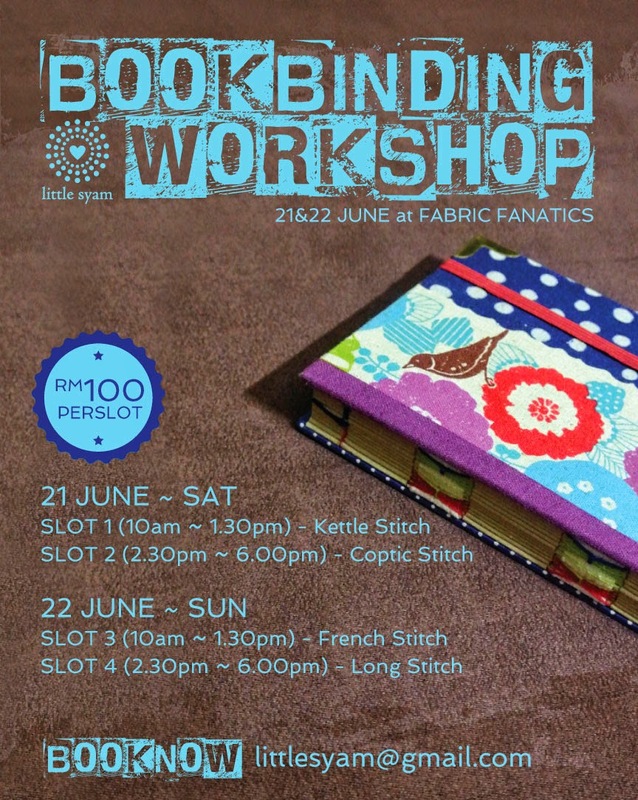 LittleSyam: LITTLE SYAM BOOK BINDING WORKSHOP - JUNE. My last workshop before taking a break for Ramadan. Tool will be available for loan. Each slot are limited to 10-15 students only.